It's Just Mobolaji | Music & Entertainment: Who Knew? Lil Kim is Pregnant! Shows off Baby Bump at NYFW! Who Knew? Lil Kim is Pregnant! Shows off Baby Bump at NYFW! Seriously, who knew Lil Kim was pregnant? Kim officially holds the crown for surprise pregnancies - because boy oh boy, did she keep this one a secret! We didn't even get a pin drop of a hint from her! Love it! 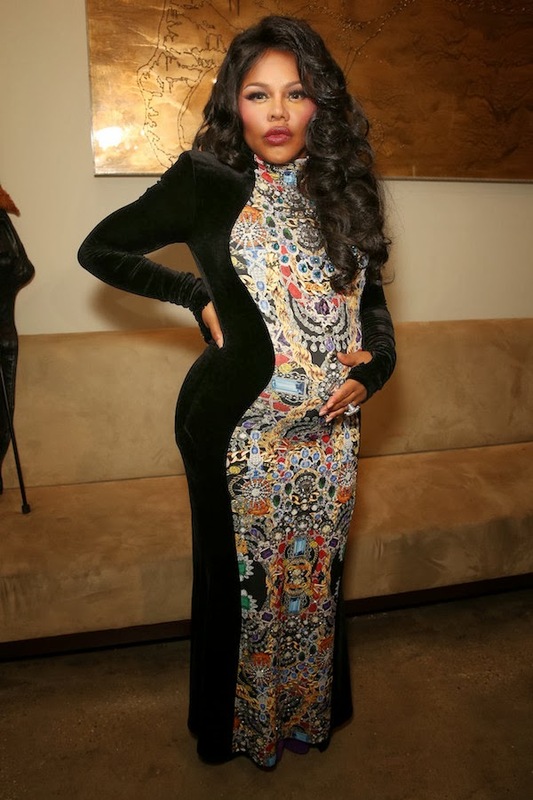 Last night, Lil Kim attended The Blonds fashion in New York City for NYFW and unveiled her baby bump. Claire Sulmers of Fashionbombdaily.com broke the news via her Instagram account as she was also in attendance, alongside heiress — Paris Hilton, and Beyoncé's stylist — Ty Tyrone, blogger — Perez Hilton, singer-actor — Joe Jonas and more. Congratulations to Kimmy Blanco for the pregnancy, and although though we don't know who the father is, it's good to see the 39 year old rapper pregnant and healthy. We can't wait to see her little bundle of joy!